Near-constant sunshine and clear blue skies is one of the best parts of living in Texas — but sometimes, it’s nice to enjoy a quiet, relaxing afternoon indoors, away from those powerful UV rays. Smart shades in Austin can help you carefully control just how much light comes into your home! 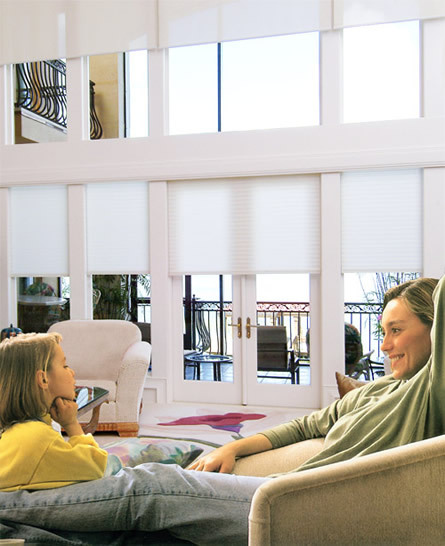 The team at Southern Shutters Shades and Blinds offers a variety of options in motorized smart shades. Keep reading to learn why they’re a great idea for your windows! What would you do with smart shades? The possibilities are endless — and how you use them depends on what goes on in your home from day to day! We have listed some examples of common uses for smart shades below. Smart shades come with convenient remote control, which allows you to open and close with the push of a button. And because multiple shades can be controlled from the same place, you don’t have to worry about keeping up with many different remotes to control the light throughout your home. Outfitting your home with smart shades is a wise investment. The benefits are significant — and they start with the fact that shades protect all of your other investments, too. Blocking out UV light keeps the sun off your home furnishings, preventing bleaching and sun damage. And don’t forget the safety features that motorized shades provide! Smart shades are ‘Best for Children’ (and pets)! Smart shades mean no cords to get tangled up, either. Motorized shades set on a timer also protect your home while you’re out of town. One other significant benefit of adding customized smart shades to your windows is that doing so can up the value of your home in the coming years. Potential buyers like seeing attractive, well-functioning shades on windows — so if you are planning on selling anytime in the next decade, adding attractive window treatments now could be an investment you’re really glad you made later on. In addition to the many benefits of smart shades, they can also come in a variety of colors, patterns, and weights to match your home perfectly. Southern Shutters Shades and Blinds offers a variety of products, including sleek and trendy roller shades, the ever popular honeycomb shade, abd traditional Roman Shades — just to name a few.Our team will talk you through all of your options to help you decide which is best for you. Are you interested in outfitting your home with shades in Austin? At Southern Shutters, Shades and Blinds, we’ve got you covered! We invite you to get in touch with us today to get started — we look forward to discussing how we can improve your home with the right shades.